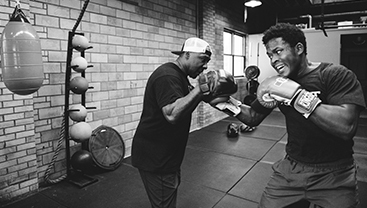 We are driven by the pursuit in becoming beautifully savage in mind and body through innovative boxing techniques and core methodology – integrity, physicality and understanding. 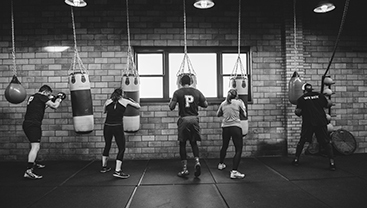 We’re a boutique boxing studio that’s equal parts boxing fitness and life coaching. Fueled by the hottest hip hop beats, the classes are lead by one of our trained instructors and are designed to push your limits physically, mentally and spiritually. Our members leave knowing that we have invested in them and poured into them with everything that we have. We are the instruments of change in our members lives and not just some coach yelling into a microphone. People come here for a life changing experience, not just a workout. We're in it for the fight of our lives. One round at a time. Together in training. Apart only in challenge. When the bell sounds, we're gloved up and ready to put our best on the line. Ready to summon the fighter within. We respect the pride through encouragement and self-discipline. We are a savage community committed to mastering the challenge inside the ropes, and become better individuals when we leave the ring.